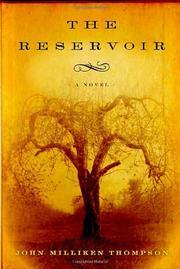 A novel based on a true story that incorporates a bit of history and a touch of the Southern Gothic tradition. In 1885 Virginia, Tommie and Willie Cluverius have grown to manhood together in the house of their Aunt Jane only to choose far different paths in life. Willie loves the rich land and the peaceful pace of farm life. Tommie seeks the vibrancy of Richmond, a day's ride away. The two were shaped by a family tragedy, the death of a younger brother, Charles, drowned as a boy. Their mother then descended into despondency and drink, and the father became lost and inept, leaving no place for the boys except with their widowed, childless aunt. But Aunt Jane soon gave refuge to Fannie Lillian Madison, a distant cousin to the young men, a girl fleeing a troubled home life. Stolid, hardworking Willie develops a quiet, protective love for Lillie. Out of lust or simple entitlement or sibling rivalry, Tommie toys with Lillie's affections even as he progresses through college, through law school and into a partnership in a law practice. The situation is made worse by Lillie's unremitting passion for Tommie and Tommie's ambition to marry Nola, the only daughter of a prosperous landowner. Lillie becomes pregnant, and, after a secret rendezvous with Tommie in Richmond, she is found dead in a city reservoir. The author writes compellingly about the bond between Willie and Tommie, and his portrayal of the social mores of the post-Civil War South is believable. Thompson also draws the land and people persuasively. Despite one or two minor anachronisms, the narrative flows seamlessly, even throughout Tommie's arrest and trial and the story's uncertain resolution. Characters are especially well-drawn: Willie's love of the land, Lillie's fearful need to be nurtured and protected, Tommie's self-centered drive toward recognition. An engaging mystery novel rendered as Southern literature.